We are very lucky because we work with fantastic businesses, doing all manner of design projects. The vast majority of them are like us – small enterprises, who’ve taken a risk and followed a dream. The kind of people, and businesses, who can’t hide behind a vast team, or ignore phone calls and emails, or basically treat customers and clients in a shoddy fashion. They – and we – can’t do this (even if we wanted to) – because reputations rest on our actions. Because of what we post via this blog and social media we tend to attract the kind of clients we want – namely, those referenced above. We rarely get enquiries from large, blue collar companies – and if we do, both parties soon realise that we’re not really right for each other. Which for us, is good news, because it means we get to work with the kind of people who really inspire us. Another benefit of collaborating with quite small, independent businesses is that through the design process, we really get to know who we are working with. We get to to know them as friends, rather than just clients, and this enables us to develop long term connections. 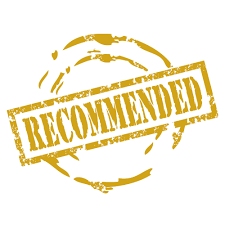 We also get to know what their clients and customers think about them, as we encourage the use of real, well thought out and considered, testimonials on their websites. In this way, we get a real feel for their business, their ethos, their ways of dealing with people – and we think this puts us in a pretty unique position, to do what we are about to do. Many of the people we’ve designed for, have also done work for us. We’ve collaborated with Jonny Draper on various professional photography shoots for websites. We’ve had property work done by Paul Andrew Jones Interiors and Monkey Wrench Plumbing Services. We’ve worked with Words Inspire, to create tantalising copy for websites. We’ve been delighted to have the legal services, and advice, of Ruth Sutton and LLB Solicitors, when we’ve needed them. When we’ve had aches and pains, Link Chiropractic is always there to help, and for a bit of pampering, Claire Jones, Evie’s Retreat, Conley Hair & Beauty and MacleodBradley are our go-to people. We’re going to be more regularly sharing the expertise of the diverse group of people and businesses we have the privilege to work with. We’ll mainly be doing this via our Didsbury Life Twitter and Facebook pages, so if you think you might ever the need the services of a plumber, a landscape gardener, a caterer, a solicitor, a bridal boutique, an exercise class, a tutor, a wedding venue, to name but a few, we suggest that you keep an eye on what we post. The kind of people, and businesses, who can’t hide behind a vast team, or ignore phone calls and emails, or basically treat customers and client in a shoddy fashion. They – and we – can’t do this (even if we wanted to) – because reputations rest on our actions. ← I Need A Website. How Much Will It Cost?